Klara Källström (1984) and Thobias Fäldt (1978) have been working together since 2005 and are based in Sweden. Grounded in the medium of photography, their work focuses on the production of knowledge, exploring media issues, historical narratives and the depiction and perception of political events. Over the years, Källström and Fäldt have produced a number of works relating to places undergoing paradigmatic changes; they seek to activate historical layers and notions of uncertainty and chance in order to draw attention to the gap between what is visible and what is told. In 2011, Källström and Fäldt started the continuous project Wikiland that takes its vantage point in the media image of the Wikileaks founder Julian Assange. The same year, Europe, Greece, Athens, Acropolis, became the starting point for a series of works on the representation of the Greek crisis beginning in Athens during the general strikes in October 2011 and followed up in 2016 in 25 Lemon Trees, No Gardeners. From an artist-residency in Quebec in 2013 stems the project Village that revolves around cultural blind spots, the loss of indigenous languages after the colonisation of North America. In exhibited form the work A Beach draws attention to the exhibition space and its ability to accumulate value to an eroded history, in this case the one of Jaffa, Palestine. 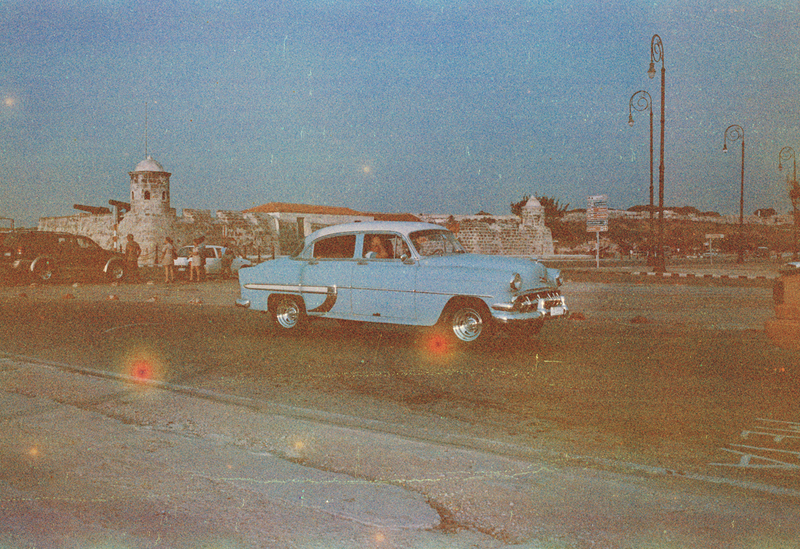 The Last of the Lucky began to take form in 2014 in Havana when Källström and Fäldt met with the former photographer of Fidel Castro who put the last analogue film rolls on Cuba at their disposal. In 2016, the series was extended to The Last of the Lucky / You Can’t Always Get What You Want where the gaze is turned towards the US and where the change in the Americas is manifesting itself in messages sent over the US social network Twitter leading up to the US presidential elections later that year. The Last of the Lucky / You Can’t Always Get What You Want was released as a book in the summer of 2017. Their works have been exhibited internationally including CO-OP Unseen in Amsterdam, Bunkier Sztuki in Krakow during Krakow Photomonth Festival, Le Bal (Paris), Photo Saint Germain (Paris), LACMA (Los Angeles), Trafó House of Contemporary Arts (Budapest), Aperture Foundation (New York), Kunstal Charlottenborg (Copenhagen), Hasselblad Centre (Gothenburg) CFF/Center for Photography and Fotografiska (Stockholm). Källström and Fäldt have received the Documentary Award from the Museum of Work in Sweden (2015), Sundsvall Museum’s Art Award (2016), Greenhill Art Award (2014) and Scanpix Photo Prize (2012 and 2006). They have received scholarships from Iaspis: the Swedish Arts and Grants Committee’s International Programme for Visual and Applied Artists for the Artist-in-Residence at Nova Iskra in Belgrade (2016) and from CALQ in Quebec, Canada (2013) and The Royal Academy of Fine Arts in Stockholm for the Artist-in-Residence at La Cité Internationale des Arts in Paris (2017). Since 2011, they are the founders of the publishing platform B-B-B-Books. Källström and Fäldt hold working grants from the Swedish Arts and Grants Committee and The Writers Committee in Sweden.